Samsung have unveiled their latest competitor to Microsoft's Surface hardware, the Galaxy Book 2. “The way the world works is undergoing an incredible transformation, and users need technology that keeps them connected and ready for anything when they’re out in the world getting things done,” said Alanna Cotton, Senior Vice President and General Manager at Samsung Electronics America. 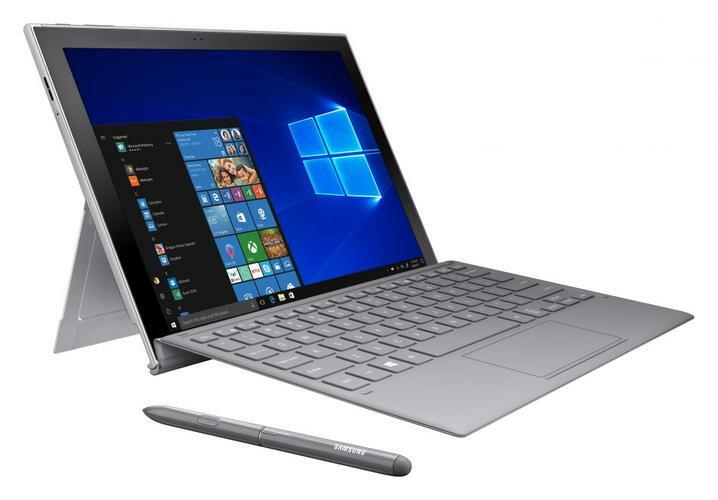 A tablet with a built-in kickstand and a 12-inch OLED display, the Galaxy Book 2 runs on a Snapdragon 850 processor, 4GB of RAM and 128GB of on-board storage. The tablet also comes bundled with a magnetically attached keyboard and stylus. The first generation Galaxy Book launched in 2017. Aside from the redesigned kickstand, the other big difference is LTE connectivity. Australian pricing and availability for the new Galaxy Book 2 has yet to officially be announced.